Do Earwigs Pose A Threat To My South Portland Family? Becoming a new parent comes with some surprises. It is amazing how things that have never mattered a whit to you before can suddenly take on great importance. While in the past you may not have even noticed pests inside your Southern Maine home, now you are hyper-vigilant to protect your new little one from the potential dangers they may pose. Are these insects poisonous? Can they sting and cause pain? Do they transfer harmful disease pathogens? You want to know. With some pests, it is easy to determine their threat level. For instance, fruit flies are not going to sting and hurt your baby. They are simply unpleasant to have around. The same could be said for lady bugs or a couple of pavement ants. Some folks actually enjoy a few lady bugs around, as they can be fun to watch. But cockroaches, rats, or fire ants are a different story. Cockroaches not only scare the wits out of people, they are vectors for illnesses such as diarrhea, dysentery, cholera, leprosy, plague and typhoid fever--not something you want in a home with a new baby! Rats spread their urine and feces everywhere and spread diseases such as hantavirus pulmonary syndrome, leptospirosis, and rat-bite fever. And fire ants are a threat to anyone, but especially individuals who cannot get away from these tiny biters if they swarm. Babies are especially at risk. But what about pests like the earwig? Earwigs certainly look dangerous. But are they really? Contrary to myth and legend, earwigs do not actually crawl into sleeping people's ears, burrow into brains, and lay their eggs (causing insanity). Thank heavens! But they are creepy to have lurking in the shadows of your bathroom and although they don't generally bite humans, they can sometimes give a pinch with their hind pincers. And although earwigs do look similar to certain wood-chewing insects, they do not eat wood or burrow into it. They do, however, like to hide underneath moist wood, which brings us to the next point. Earwigs are moisture pests. This means they are drawn to moist conditions and, if they are inside your home, this may be indicative that you have a moisture problem. Earwigs are drawn to moisture and if the outside of your home has wood rot and, consequently, holes and gaps in your exterior walls, then earwigs (and a whole host of other pests) can squeeze in. So, if you want to keep earwigs and other pests away, reducing moisture on your property and around your perimeter will definitely help. Remove wet areas in your yard. If you have leaf piles or other areas of vegetation that retains moisture, rake them up and dispose of them. Remove overgrown weeds and yard waste. Also be sure to keep your grass trimmed neatly. Remove items in your yard that hold water. This will not only make your yard less attractive to moisture pests, it will also reduce potential breeding sites for mosquitoes. Cut back bushes and other vegetation away from your home. This will allow areas to dry up after wet weather by letting air and sunshine close to your home. This will deter earwigs and other moisture-loving pests. Carefully examine the outside of your home for holes and moist/rotting wood. Seal up any gaps or cracks in your foundation. Be sure to look around pipes, wires, etc. that enter your home, and seal up/repair any entry points you find. Liquid cement is a good tool to use on foundations and a caulking gun is great for wall holes. If you have mulch around your perimeter, keep it at least two feet from your outer walls or replace it with a dry material such as crushed rock. If you need to have mulch up close, consider having a professional pest control company apply a chemical barrier between your mulch and your foundation to keep pests from finding entry points. Examine all door sweeps and make sure they are all present and in good working condition. Inside your home, be sure to keep things dry. If moisture pests get in and everything is very dry, they will not feel at home. Consider installing fans and/or dehumidifiers in humid areas. And make sure to repair any leaky pipes, sinks, toilets, tubs, or other items that are leaking water. Be sure to always use the bathroom vent while taking a shower, to keep humidity down. 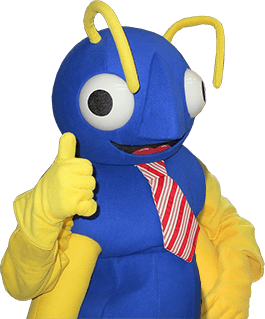 If you are looking for assistance in keeping earwigs, or any other dangerous or nuisance pest, out of your South Portland, Maine home, reach out to Big Blue Bug Solutions today. We'll make short work of those pests, so you can keep your new little one safe.